These testimonials are from real people, who have bought one or more of my books. You can also read them on Amazon, my Facebook page or one of the LinkedIn sites that deal with Mercedes Benz. Amazon Customer from the US (exact name and location not published on Amazon) wrote about the SL R230 book: Very well done. The driving experience starting on page 138 of this book took me away. The words were pure perfection. I recently acquired one of these amazing soon to be historically significant machines. The world will wake up and realize this. These unbelievable low market values for these V12 Gentle Giants will be very short lived. 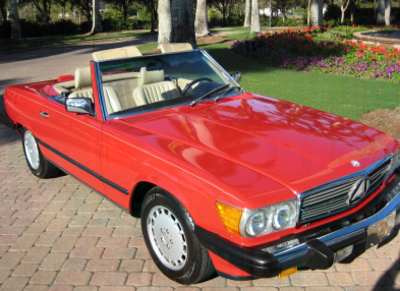 Remember when an SL300 Gull Wing was just another worn out used car. Can you say 1.5 million dollars today. Get yours while you can. Those who truly love automobiles will Never Regret It! Note: Look at the ridiculously low production numbers for SL600's. I.E. 2008, 216. 2009 50! 2010 25!! And believe it or not 2011 ONLY 8 WERE MADE! It's in this good book pages 224 & 225. BUY ONE OR MORE NOW! Gremstich from the UK wrote about the SLK R171 e-book: The definitive guide to SLKs. Everything you ever wanted to know, and more! Clearly written by a true enthusiast. 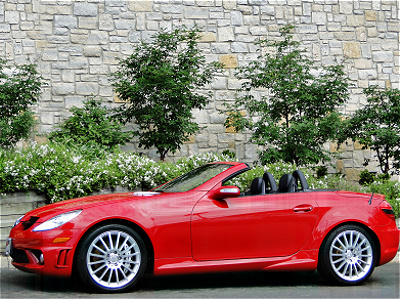 If you own an SLK (171), you need this book. T.F.Adam from the Philippines wrote about the W110 e-book: A must have for any W110 owner...and all those who love Mercedes classic cars...! Obviously, the author knows his subject well. He combines passion with profound insights into the car and its development history. Caution: there is significant risk of getting addicted to reading more of those well composed books....yet...what the heck: its value for money..! Looking forward to getting more such publications in the future...! Kalpit from Virginia, USA wrote about the book MB, the 1960s, Vol. 2: This is a great book about the older Mercedes Benz cars of the 1960's and early 70's. I originally purchased this book to read up on the W108 and W109 series of cars. 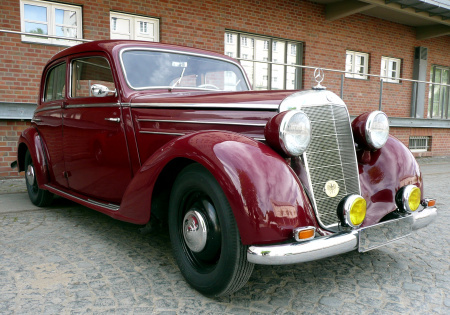 After reading the entire book twice I came away with a more intimate knowledge of these fine automobiles and others like the Pagodas and 600 Limo. The book has some really neat concept sketches and internal photos of proposed design concepts that never made it into production. Photos of a Mercedes 600 with head and tail lights like the W116 S-class. The book also has insights about what the engineers and designers were thinking when they designed certain aspects of the cars. Steve Dillinger (location not published on Amazon) wrote about the SL R107 e-book: Nicely done and chock full of info on the R107 series. Especially interesting is all the information, including some great pics and early drawings, on the design process Mercedes took to get to the final R107 design. Very interesting and very informative. A good choice for the R107 enthusiast. M. Calkins from California, USA wrote about the SL R129 e-book: I'm researching the R129 prior to acquisition and I have found this book to be of great help. Thank you Mr. Koehling. J. Loftus (location not published on Amazon) wrote about the SL R230 e-book: Valuable source and general info. Easy to navigate electronic book. Worth the money. I would highly recommend this book. Enjoy. B. Geco from California, USA wrote about the book: MB, the modern SL from the R107 to the R231: I love this book. I recommend it to all modern SL owners especially R107 and R129 owners. There is much to learn form it as an owner. 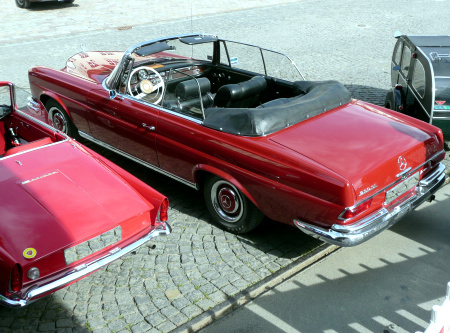 This is not the only publication on classic and new Mercedes-Benz Vehicles. As many older publication disappear, it is nice to know there is a writer who cares enough to pick up the pieces and present them in his own words with plenty of good solid information and great new photos. This is no way an advertisement. It is my single opinion! Most books are also available as e-books.